I've been holding on to this little gem for a little while, and it's been getting a good bit of rotation on the playlist for two obvious reason: 1) it's JUNKYARD ANGEL, and 2) it's bloody great! I've been so very fortunate to have received an exclusive mix gifted to me by Mr. Junkyard Angel. I present you with Dusk Light Shadows. He meant only to share it with me privately, but how can this not be heard by anyone and everyone? Of course, I'm choosing to include it here, as well as on both my MIXCLOUD site and my PODBEAN site. Along with this exclusive mix, I'm also bringing you WAITING FOR THE RAIN which he hosted on Mixcloud and I found to be so very mood enhancing (note: this one is available for download off of ambient-transmission.blogspot.com). For some reason, when he creates a mix, I live inside the music. Waiting For The Rain sets a particular mood, and its meaning to exist is warranted by its sublime beauty, intensity, and carefully executed (as well as flawlessly delivered) theme. Junkyard Angel is one of the more underrated ambient mix creators around, and I'm so blown away by his ear to capture and mold soundscapes to reflect his deep appreciation for all things musical. His mixes never seem disjointed or uncomfortable. He sets the flow, opens the bright box of fear and elation, and stirs them in a musical pot of equal parts wonderment and intensity. Once again, I'm very envious of his drawing of different textures within this mix. And that's a good thing. These mixes have all the elements that I favor: dark and light, and tons of dynamic contrast, while keeping the focus on the melodic beauty at the core. Every time he creates a mix, the bar is raised. Guilty confession time: I've been trying to figure out what it is that attracts me to his mixes so that I could incorporate that element into my own (talk about hero worship!!). It's getting increasingly difficult to even match his mixes, and I appreciate his inspiringly melodic morsels! If I have one wish, and it's a very small one, it's that Junkyard Angel keeps blessing us with great mixes. Fantastic mix, my friend! 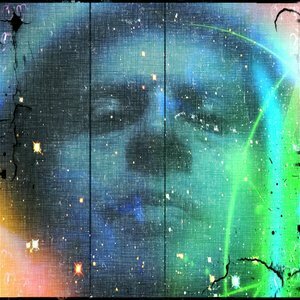 Pay Junkyard Angel a visit on MIXCLOUD and show him the love! Peace.